Maureen’s sessions generally last about 1-2 hours. 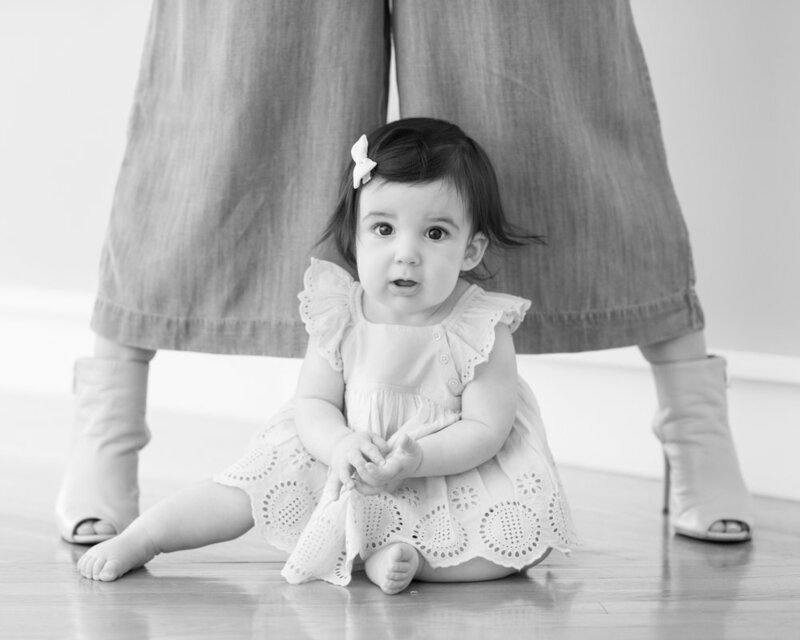 With her informal and natural style, she prefers working in client’s homes for baby shoots. Her goal is to capture a series of images that truly reflect the unique personality of your baby and family. The focus of the shoot will be your child, so busy patterns and logos should be avoided. For your baby, you might have ABC available as options. The rest of the family should wear clothing that isn't stiff or complicated. Solid colors work really well and also textured fabrics like jeans, thick knits and corduroy. Bare feet are always preferred and nothing is cuter than bare baby bellies!